Have you ever had an unpleasant experience related to customer service, perhaps at a home improvement store or with your local cable company? How did that experience affect your overall impression of the company? Were you encouraged to take your business elsewhere? As a consumer during hard economic times, you want to spend your money where you feel valued. You want to interact with associates who are friendly, knowledgeable about their business and who want to help you. Unfortunately, many companies today have allowed their customer service to become nearly extinct. Furthermore, they have failed to provide recognition to their employees for a job well done. Businesses once understood that by valuing all employees that company’s success would continue. Employees felt responsibility for their actions because they felt respect, value, and self-worth. The businesses strived for continuous improvement. Employees were loyal to these companies and retired with them. In recent times, employees feel less and less appreciated. They don’t feel important to their employers. As a result, they have made a conscious decision to stop caring about elements such as customer service. Workers have lost faith that they will be able to climb the professional ladder, leaving almost zero incentive to stay with the same company. Instead, employees move up in their career by increasingly changing jobs and switching companies. Everyone is negatively affected by this cycle. In lieu of progressing, businesses resemble a wheel spinning in mud. Companies receive mediocre staff support, employees give poor customer service, clients purchase less, businesses see reduced profits, and employees get hit with layoffs, pay cuts, and poor benefits. Managers have further endangered the myth of customer service by outsourcing client support to low-cost countries. They have eliminated receptionists and replaced them with recordings. They have almost entirely erased the need for training. Finally, to show efforts that they still care about their customer service performance, the same businesses continue to send out surveys. Many clients not only consider the surveys annoying, but the company fails to make them worthwhile by ignoring complaints. All of this is done in an effort to save money. Businesses today must change this mindset if they want to grow their business successfully. In my book titled “Great Customer Service: The Definitive Handbook for Today’s Successful Businesses” and co-authored by Dr. Green, I focus on five key characteristics that together lead to good customer service. Those characteristics are attitude, awareness, accountability, action and affability (friendliness). For a company to improve their customer service they must accept change. Change begins with the right attitude. Before a company can change their customer service, they must establish a mission to provide quality service. Furthermore, the company should be aware of the current state of the service they provide. Change cannot be made without understanding the situation at hand. A business may question, has there been a noticeable decline in sales? If so, could it be a result of the customer service? The best way to kick-start change is to hold employees and managers accountable. Without effectively maintaining accountability for everyone involved, people will not see a reason to change their behavior and the business will suffer. Holding personnel accountable is the first part of taking action. Unless a company makes a conscious decision to actively improve, change will be temporary or non-existent. Finally, the last characteristic is affability. It seems like a minor detail, but consider some of your past consumer experiences? There were probably a few instances where an employee helped you in an “I have to” way, and there were times where you were helped in an “I want to” way. The latter is much better. Throughout the book, I also focus on how to build a more profitable business, how to increase good sustainable customer service, how to inspire workers toward greater organizational performance, and how to inspire today’s demanding customers. While I could continue on about how these five characteristics impact the other topics covered in my book, I would rather hear from you. As consumers, professionals and MBA students, use what you have experienced and learned to explain how you believe these characteristics impact profitability, sustainability, performance and inspiration. There are no perfect answers. Good customer service is not necessarily cut and dry, it is all in the eye of the beholder! 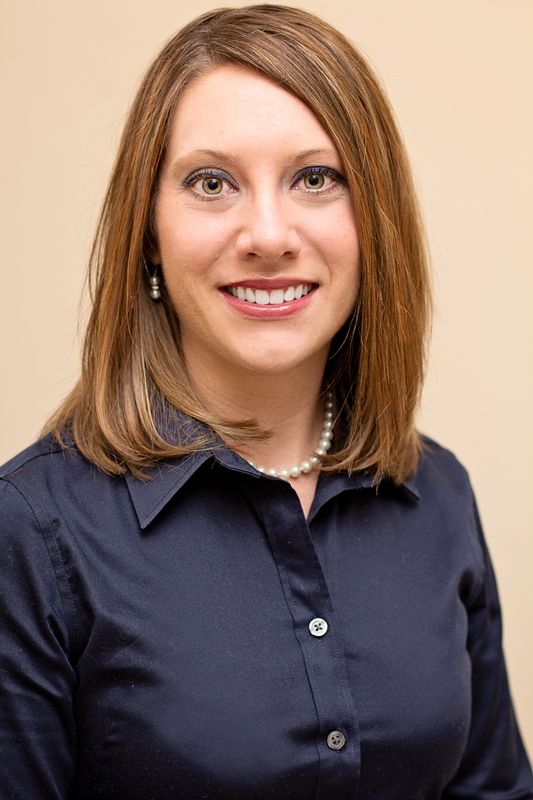 Jalene Nemec, MBA, is the author of the upcoming book, Great Customer Service. She is also one of the brightest business thinkers in the world, having both extensive customer service and leadership experience. She is a former Lincoln Memorial University MBA graduate. Mrs. Nemec, first I want to thank you for being guest blogger on Nuleadership. I also fell that in today’s competitive marketplace quality customer service is an advantage for companies. 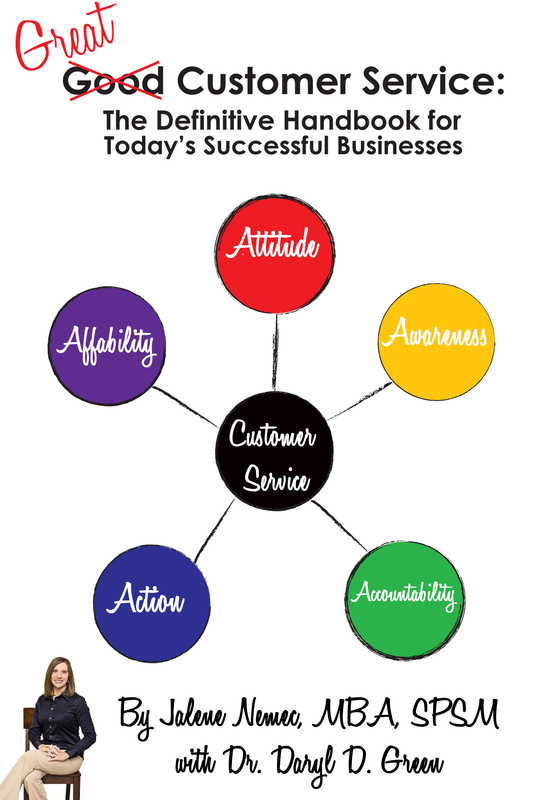 In addition, I believe that customer service and the five characteristics falls into customer relationship management. Parida and Baksi (2011) explain CRM is becoming popular acronym for companies neutering relationships with customers and trying to build lifetime customers. They also state, “Customer Life-Time Value (CLTV) to identify the most valued customers on the basis of their net-worth to the company” (Parida & Baksi 2011). Therefore, companies are starting to incorporate their customer services aspect into their CRM services. Because, a company that provides strong customer relationship encompass the five characteristics of customer services covered in your book. In conclusion, thank you for your post and the insight you have provide about customer service. Parida, B., & Baksi, A. (2011). Customer Retention and Profitability: CRM Environment. SCMS Journal Of Indian Management, 8(2), 66-84. Daft, R. (2012). pg.53. Management. Mason, Ohio: South-Western. The front line of customer service frequently falls to entry-level positions, which are often filled by the generation known as Millennials. “Studies predict that Millennials will switch jobs frequently due to their high expectations” (Cieply, 2012). This increased turnover impacts performance and profitability because of higher training costs and risk to long-term customer loyalty. Managers must be aware of the changing demographics of their workforce and be able to adapt. By providing flexible work arrangements, avoiding micro-management, and encouraging breaks, management can show Millennials that they are valued as more than just cogs in a machine and inspire them to new levels of performance (Cieply, 2012). This humanistic approach to management will allow you hold employees accountable while avoiding a police state atmosphere and thereby allowing you to encourage affability among those who are the face of your business. You brought up an important point in that “front line customer service often falls to entry level positions.” This is also why it is important to train and inspire these individuals. They are learning habits and forming opinions of the workplace that they will carry with them throughout their career. The better their initial experiences are, the more they will be encouraged to be better, more loyal employees. Thank you for your comments and your time. Thank you for your contributions to the blog. Your insight and knowledge are valued and I enjoyed your post. I agree that employers do not empower their employees enough. When given high levels of responsibility and respect employees will contribute to the success of your business. I have personally seen how a negative work place environment can change the culture of a organization, even if it only stems from one person. Again thank you for your contribution. As a manager in retail, I found your post particularly interesting. So much of what you state is what I see and hear everyday at work. I am always looking for new tools and information to improve myself, my employees, and ultimately our customers’ shopping experience. Your post fits that bill. I look forward to sharing your ideas with my management staff, and I appreciate you posting this information on our blog. Thank you for sharing your insight with us, and best of luck with your book. I am a psychiatric nurse and given the nature of my business customer service is an aspect of my job that can never be enhanced enough. I appreciate the information you provided. I am sure that it will be useful. Thank you providing your observations of ways to improve customer service no matter what business a professional finds themselves in. Francis (2013) in her articles states that good customer service keeps customers coming back while bad customer service keeps customers away. I agree in totality, as the more please customers are with the service received from the company the more likely they are to do business with the company in the future. An increase in business will increase the profitability of the company. The longevity of the business can be ensured if there is consistency in the quality of the customer service that a company offers. Francis (2013) supports this point by acknowledging the need for repeat customers and the importance of good publicity through word of mouth sales of the customers. It is cheaper to retain current customers than it is to attract new ones. And when customers are unsatisfied with the service offered by a company they will not recommend the company to others. If employees are highly motivated and fairly compensated both the performance of the employees and the business will propel in a positive direction; rewards will inspire employees to maintain a high level of excellent quality customer service and this will in turn have a positive impact on the business. It is cheaper to retain current customers than it is to attract new ones. And when customers are unsatisfied with the service offered by a company they will not recommend the company to others. I agree with these statements. It is extremely important to keep loyal customers satisfied in order to not loose them. It is much more difficult to gain new customers and as you stated, expensive too. Ward (2012) states, “The essence of good customer service is forming a relationship with customers – a relationship that that individual customer feels that he would like to pursue”. Thank you for sharing your insights with us! Unfortunately, I have had a few bad experiences with customer service. The latest was at a local Weigels. As I made my way to the register, milk in hand, I smiled and said hello to the cashier. She never said a word. She just gave me a look of disgust that seemed to say, “How dare you speak to me.” She proceeded to ring up my order without saying a word. Now I dread stopping in there and I know first-hand this is unacceptable behavior for customer service related work. A few years ago I worked at a financial institution where customer service was our number one goal. We greeted all customers within fifteen feet with a smile and a cheerful hello. If any customer asked us for help while we were on break, we helped them anyway. We never mentioned the fact that we were on break. Also, we answered the phone within two rings and smiled while we were on the phone to make ourselves aware of the need to “sound friendly”. The customers loved us and said we were the friendliest bank in town. Having good customer service skills is the same as having good manners. It’s very important and a little goes a long way. Excellent examples! Thank you for your input. Thanks so much for sharing your insight on “Great Customer Service.” I really enjoyed reading your topic and I agree that customer service has changed tremendously in the last decade. We as future managers must work hard to change this trend and I think this can only be done if we recognize our employees hard work. I am in a customer service position where I deal with customers all day long. I have found that is much easier and more rewarding at the end of the day to be nice to my customers. I know where I work they work hard to reward staff when they have done a good job. A few years ago I was given a special $300.00 bonus for going above and beyond in my job. I know this is rare but is a good example of how some businesses recognize and reward their employees. I am definitely lucky to be where I am. Thanks so much for sharing your thoughts. Thank you for your comments. As someone in a customer service role, be sure to share with your fellow co-workers the difference good versus bad customer service can make. Sometimes just being aware of this fact as you are makes all the difference for the entire company. Ms. Nemec, thank you for taking the time to share your on a very important subject. I have held several jobs that gave me many experiences in customer service. Some of the other responses have discussed the subject of customer service being dealt out to entry-level members of an organization. I have learned that sometimes managers want to put off the responsibility of “dealing” with the customers. In my experience this really degrades the culture of an organization. While I was attending college for my undergraduate degree I work in customer service related industries. I found that this idea of managers not taking responsibility for valuable customer service can deeply damage the development of a good employee. I believe that valuing the customer (no matter how difficult) is the most important part of any job you have because it applies to everything. There is always someone in need of your product or service. So, if you learn from a beginning point in your career that customer service is important than you will be set-up with the correct mindset to be successful. Customer service seems like an easy task to master but it is becoming increasingly scarce. You have valuable knowledge in that you understand the importance of good customer service. This will help you sell yourself as you move up in your career! Customer service is an essential part of any business. When customer service is lacking, it will cause many customers to take their business elsewhere. Although it may seem minor for an employee to be having a bad day and treat customers differently, but this could cause a loyal customer to go elsewhere. Also, it could cause negative word of mouth. Ward (2012) states, “Good customer service is all about bringing customers back. And about sending them away happy – happy enough to pass positive feedback about your business along to others, who may then try the product or service you offer for themselves and in their turn become repeat customers”. Employees must be satisfied with their job in order to provide the best customer service possible. My response: I agree with your statement and I think without great customer service that a business cannot survive. According to Grewal and Levy (2010) “Customer excellence is achieved when a firm develops value-based stragegies for retaining loyal customers and provides outstanding customer service.” I think this statement says it all and I think a lot of companies lack training their employees and educating them about their values. I think this is a lot of the problem because businesses just assume everyone knows the right things to do and say to their employees. This is not always the case therefore extensive customer service training is essential in order for a business to be the best. Thanks so much for sharing your thoughts on great customer service. I really enjoyed reading your post. Thanks for sharing! I work for the 6th largest private company in America and over this most recent weekend the CEO of the company left a voicemail to all employees summarizing January performance. In it he reitterated the three primary items all field employees should focus on, the third and most important of which being friendliness. Internal analysis showed that over the last three months customer service had been lacking, and that a lack of friendliness was the primary culprit. My company invests a solid portion of its resources in analyzing and improving its customer service. The CEO of my company understands that if you are trying to operate in a service industry without great customer service you will not be operating for long. I love hearing these success stories especially with large companies! Thank you for sharing your comments. Dear Webmaster! I just discovered your Blog and all the interesting and useful Information that you provide but I also found out that your Blog posts are not really optimized for the corresponding keywords and topics you are writing about. If you are interested you could try one of these WordPress SEO Plugins [http://bit.ly/VPj8BL] that automatically makes small alterations to your Posts to gain visibility in the Search Engines like Google, which will provide you with more organic and free visitors and therefore increases your potential revenue and exposure. Take a look and if you encounter any problems or questions send me an email. Have a nice day! Thanks for the feedback! We will review them and attempt to work toward solutions. Our staff is small. We make a priority of creating great content. We will seek to address these technical issues. I would like to thank you for sharing your customer service expertise with us. I worked as a customer service representative and manager for years in the insurance and banking industries so I understand the vital role it plays in a company’s livelihood. Companies should make customer service a top priority by forming a relationship with customers. They should not only meet, but exceed customers’ expectation, provide accurate information, and respond to a customer’s service request in a timely manner (Brecher, 2011, p 14). Employee attitude and affability are vital to building strong customer relationships. People notice when an employee takes an extra step, and they will tell other people. “Today, word of mouth is virtually unlimited because of internet review sites (Aberle, 2012, para 7). Action and accountability are closely linked. If you say that you are going to do something for a customer, follow through because you will be judged by what you do. Consistency is one of the building blocks in creating customer retention and loyalty. Finally, awareness involves letting your customer talk and making appropriate responses. Attitude, affability, action, accountability, and awareness all directly affect the profitability, sustainability, performance, and inspiration of an organization. Aberle, J. (2012, August 27). First person: Word of mouth can make or break a small business. Brecher, N. (2011, May – June). Customer-Centric: Making your clients’ and customers’ needs your first priority pays. Journal of Property Management, 76-3, p.14. Retrieved on 02/11/2013 from Infotrac database. Thank you for sharing your experience and insights with us. I found your post very interesting and informative. I work in the financial services industry and customer service is the foundation of our business. If we do not provide excellent customer service then we will not stay in business. My company has a very high standard of providing excellent customer service. We have a secret shopper program to measure how well we deliver customer service over the phone and in person. Since my company has such a high standard for customer service I have become more cognizant and less tolerant of poor customer service. Additionally, I believe exceptional external customer service begins with exception internal customer service. It is not just for front line employees and customer service departments, but it is for every employee in the organization (Hyken, 2011). It goes back to the concept that happy employees are more productive employees. If an employee is happy with their job that is going to translate in how they take care of the customers. Thanks for taking the time to share! One aspect of your post that stood out to me was the simple idea of having a customer service agent who “wants” to help you versus on who “has” to help you. It is a simple concept that is not so simply executed. Your model addresses how to make this concept a reality in a business. It seems that the other four “A”‘s all lead into one another, with the end goal of “affability”. I love this idea, because it highlights the true importance of a job that can be seen as “lower level” and insignificant. To illustrate this, one study found that customer service departments “have the potential to generate at least 10% of a firm’s total revenues from sales of new products and services” (Jasmand, 2012). This is an incredible fact, so I appreciate your understanding of highlighting something that is so often devalued in our current business culture. Thank you for providing such valuable insight to the blog. With companies dealing with constrained budgets, front line members are pushed to their maximum ability leaving them feeling over worked underpaid and frustrated. While all this is going on the basic structure for customer service is changing as well. “An increasing number of companies are introducing artificial agents as self-service tools on their websites, often motivated by the need to provide cost-efficient interaction solutions.” (Ali, 2010, p. 1). Artificial agents are a solution to help customers with their business while at the same time reducing employee costs. However, the use of these agents more often than not cause great frustration for customers trying to receive a service for something that may not be a specific promt. Ali, M. A., & Yousuf, M. I. (2010). USE OF INTELLIGENT AGENTS IN INTERACTIVE WEB APPLICATIONS. Journal Of Mathematics & Technology, (3), 86-94. Firstly, I want to thank you for coming guest blogger on Nuleadership. Secondly, I also fell that in today’s competitive marketplace quality customer service is an advantage for companies. In addition, I had good knowledge and I planned to buy your book in summer after I finish this semester. As Jodi stated in my family business, customer service is our number one priority, without customer satisfaction a business would fail to thrive. Thank you for taking the time to share you expertise on customer service with us. I think you hit on a great point discussing how undervaluing employees and employees feeling undervalued can affect elements such as customer service in a negative way. It really is like a ripple effect, if a company’s customer service declines, customers will go else where where they are treated better, production or work loads will decline because of decreased customers and ultimately profits will fall. I have found from my own experience that even if you are not sure of exactly how to help the customer, it goes a long way if you act eager to help them, be polite and respectful, and let them know that their problem or request is at the top of your priority list. Also reassuring a customer that if they have any other requests or problems not to hesitate to ask for you personally again. Dr. Marylin Manning, CEO of “The Consulting Team,” puts it simply. “If we approach a counter for service, and are greeted with “Fill this out and go over there”, we may feel unwelcome. On the other hand, if the counter person looks us in the eye, smiles, and says, “Good morning. May I help you? You will need to fill out this form and then hand it in over there. Let me know if you have any questions”, we feel valued. The procedure is the same, but adding the personal touch changes our perception.” (Manning, 1998).